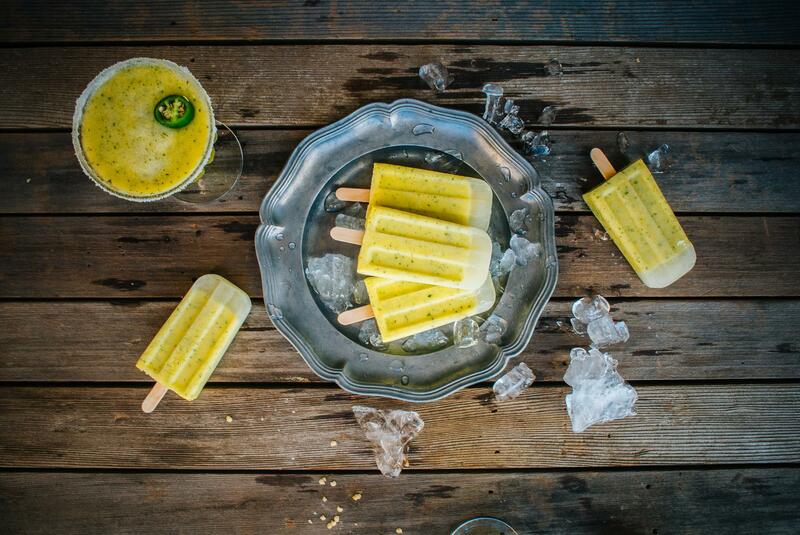 These pineapple Margarita ice pops are a great way for adults to enjoy their cocktails. Summer is definitely up! You’d think I’d be happy making a Margarita and simply enjoying it in the current heatwave. I have to take it one step further. I was really eager to get my ice pop moulds out again and and just had to turn a humble pineapple Margarita into pineapple Maragrita ice pops. And what a success they were! They were every bit as refreshing as I hoped they would be. And my subjects for the evening i.e. my willing friends raved about them and found them the perfect antidote in the current humidity. My pineapple Margarita mixture consists of freshly chopped pineapple, mint, lime juice, salt, a touch of Cointreau and tequila. If you can’t be bothered with the whole ice pop thing, just add a little ice to the above ingredients, blend in a high speed blender and before you can say “Ole!” your tastebuds will be thanking you! I’ll see you soon with some more recipes and travel stories. Blend all the ingredients in a blender or food processor until well combined. Pour the mixture into the ice pop moulds and place in the freezer for 2 hours. When the mixture is semi set pierce an ice cream stick through the centre of each ice pop. Place back in the freezer and allow them to set overnight before serving. To serve them, run the moulds under warm water for 10 seconds to set them loose and serve immediately.